I found this list very interesting. Only 3 Canadian cities and 7 American cities have census tracts with over 50,000/square mile. More than half of New York city's population live in such super-dense census tracts, but no other city has more than 2 square miles of census tracts with over 50,000/square mile. American numbers are from 2000 census. Canadian numbers are from 2001 census. Toronto and Vancouver would likely have far larger areas of over 50k people if a census were done in 2004. Yes. They are based on a grouping of Block Groups, and are purely arbitrary. However, to be fair- if you throw a map of Census Tracts together, it can get an idea of density. Where did you find that Spartan?!?! You made it, wow. Must have taken a long time. Took about 10 seconds. It actually took londer to export the map to .jpg format. Here is one for NC. 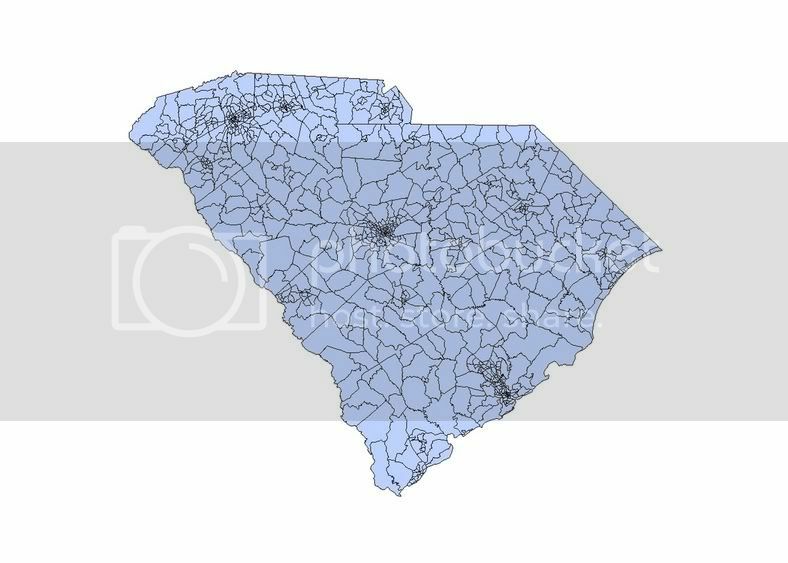 Sorry about the colors- this map was more complex, and had to be compiled by county; the SC map was all ine one file. So it would take a long time to change the color for each of NC's counties. I'm not sure what you mean. If you mean many parts of a city aren't part of a census tract I don't believe that's right. They don't leave out any areas. ^ I have access to this program called ARC Map- Its GIS software.